Display your presentations wherever you choose with the gold Vivitek Qumi Q6 800-Lumen WXGA DLP Pico Projector. At only 1.05 lb, it's easy to transport with the included carrying case, and the built-in speaker allows you to hear your audio without the need for an external speaker system. It provides up to 800 lumens of brightness with a 30,000:1 dynamic contrast ratio and a native resolution of 1280 x 800 for clear images at most sizes. In addition to the carrying pouch, the projector includes a remote control, HDMI cable, and an MHL to HDMI cable. Able to wirelessly interface with Mac, Windows, Chromebook, Android, and iOS devices, Qumi Q6 projectors are capable of wireless mirroring, enabling users to share exactly what they see on their device with an entire classroom or conference room. Designed to be a powerful and flexible addition to any office or workplace, the Qumi Q6 comes pre-installed with a Microsoft Office/Adobe PDF document viewer to facilitate seamless projection of Word docs, Excel spreadsheets, PowerPoint presentations, and a wide variety of multimedia formats. Comparable in size to many popular smartphones, the Qumi Q6 measures in at just 4" wide and 6.5" long and weighs only 1.05 lb. A suitable form factor to easily glide into a pocket or stow in a bag, the Qumi Q6 is deployable anytime, anywhere, for on-the-go HD entertainment and presentations. With the EZCast Pro app for Android and iOS devices, up to four smartphones or tablets can simultaneously display separate content (select materials only) onto one large side-by-side projection . The Vivitek Qumi Q6 gives you all your essential connectors including an audio out, USB input, HDMI, and MHL. From long-lasting, enhanced color output to near independence from consumable parts (such as filters and lamps), DLP lamp-free projectors boast numerous advantages that make them suitable for a wide range of applications. Requiring practically zero maintenance, DLP LED projectors are designed to exceed over 20,000 hours of operation. Best of all, the efficiency and dependability of DLP LED projectors results in lowered cost of ownership. 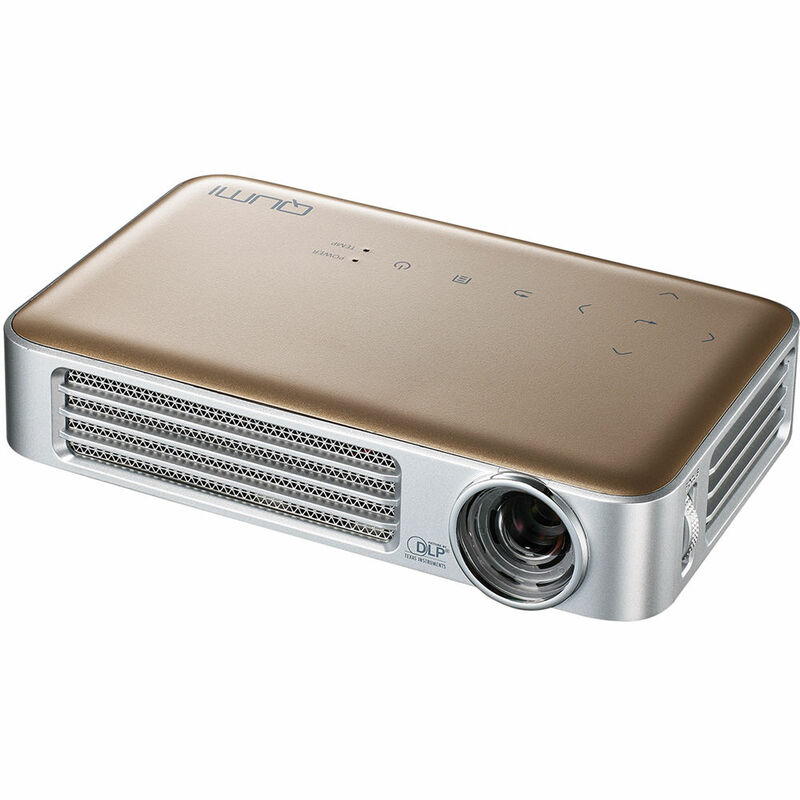 DLP chipset-based projectors are fashioned to produce vivid images with digital clarity and precision. The DLP chip uses millions of tiny mirrors to reflect all the colors of visible light to project a digital image onto a screen. DLP technology delivers high contrast ratios and minimizes the gaps between pixels for bright, sharp pictures. BrilliantColor from Texas Instruments is a multi-color processing technology designed to produce vibrant images. BrilliantColor technology uses up to six colors, instead of just the three primary colors, red, green, and blue, to improve color accuracy and brighten secondary colors. DLP technology allows manufacturers to create a filter-free projection design. Filter-free means lower maintenance costs and efforts over the projector's lifespan, which means a lower total cost of ownership for the projector. Box Dimensions (LxWxH) 10.5 x 7.9 x 2.8"